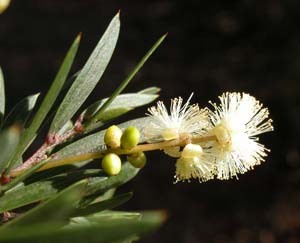 Acacia riceana is one of several species of Acacia with narrow, pointed phyllodes. 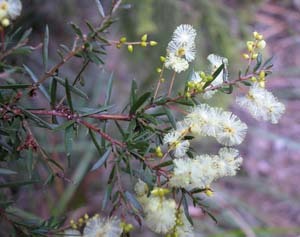 It is common in wet forests, especially in southern Tasmania, where it is a tall shrub or small tree. 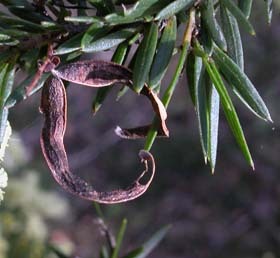 The distinctive feature is the way that the phyllodes are clustered in groups of 3-6 (although not in whorls as in A. verticillata). It is closely related to A. derwentiana, but differs in having broader phyllodes, which are in clusters.